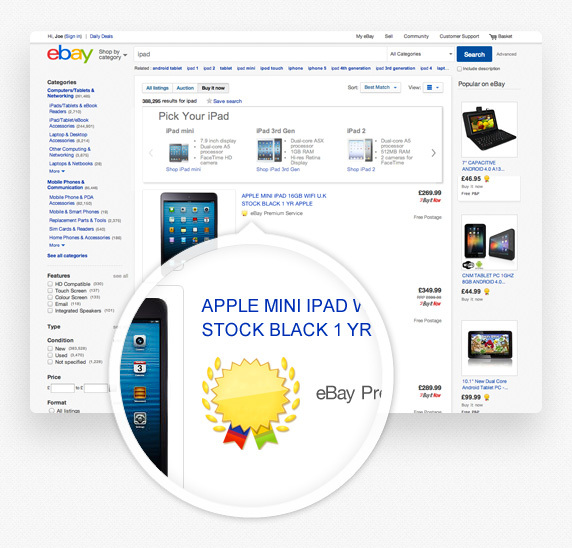 Look out for the eBay Premium Service badge on the search results page as shown on the left. This means that for this item the seller provides eBay Premium Service benefits. Any questions about eBay Premium Service?